And now: two photos that I took with my phone today. Do you remember how to make the peacock noise? Well, the first one is horrible. The second is beautiful. It was ever thus. 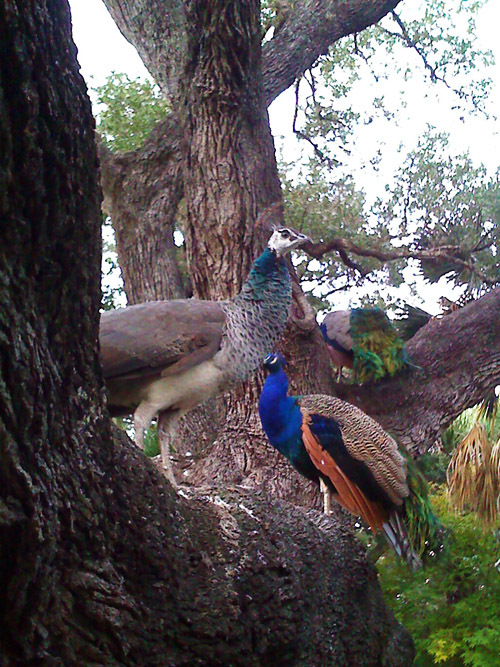 Where did you find the peacocks?